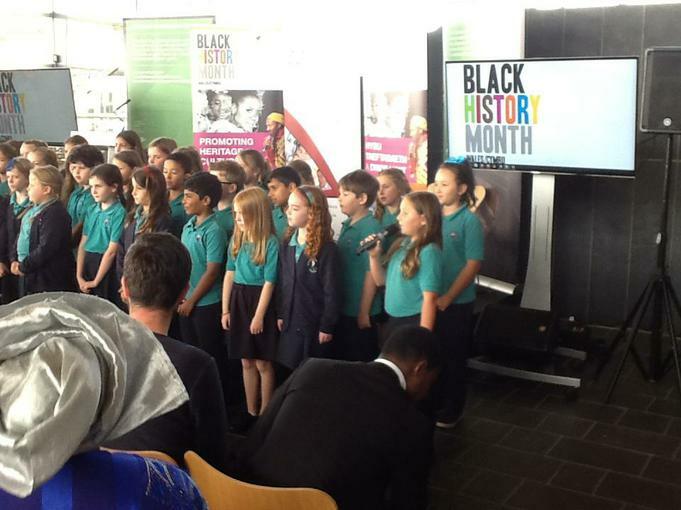 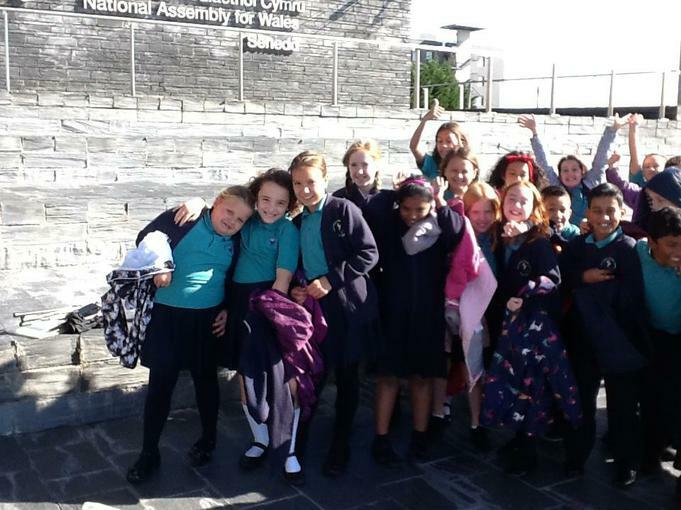 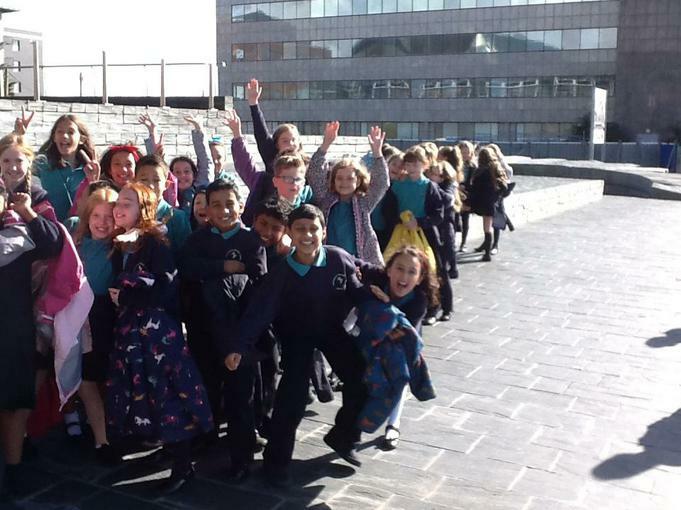 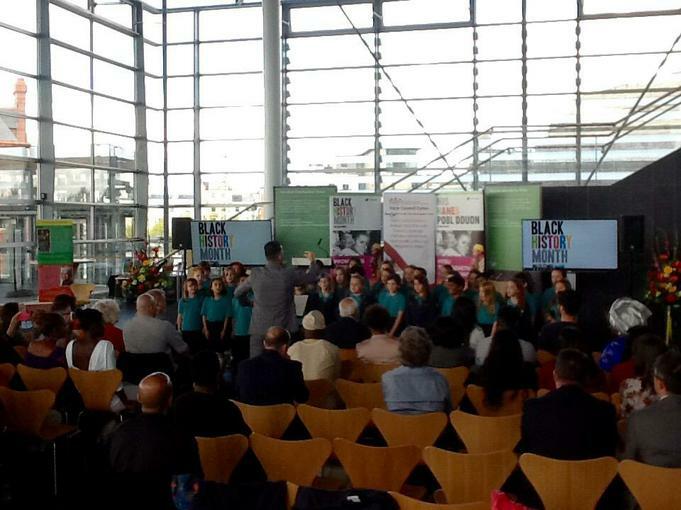 Rhydypenau singer songwriters were invited to perform their song 'Refugee' at the prestigious Black History Month awards celebration at the Senedd in Cardiff Bay. 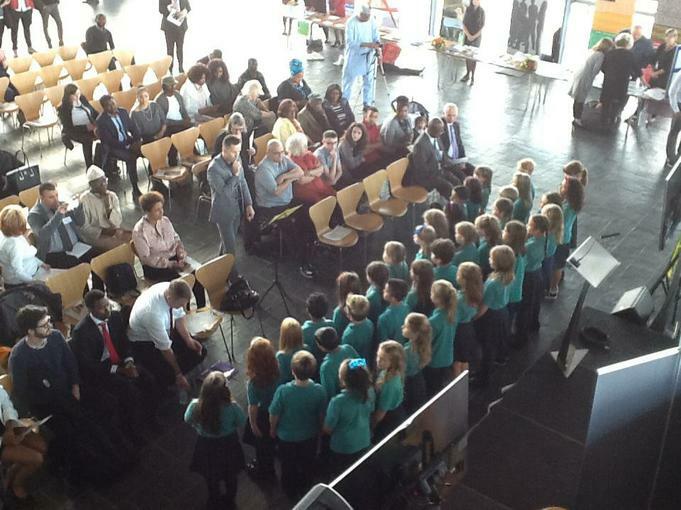 Members of the choir in years 4, 5 and 6 sang the song, which featured a solo from Nia Abraham-Love. 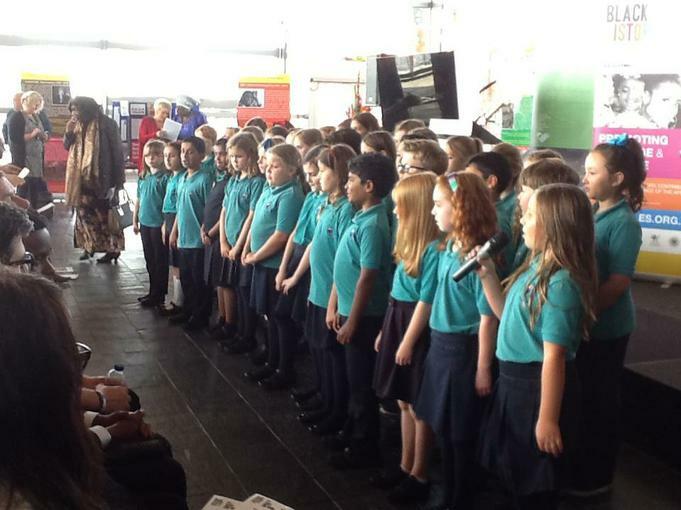 The children sang beautifully and several members of the audience had to reach for their tissues. 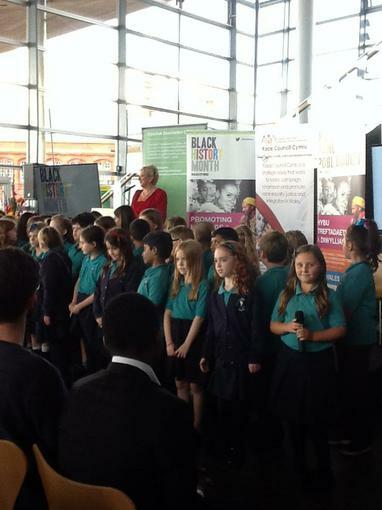 As we got ready to leave to go back to school, Beverley Humphreys (BBC presenter who presented the awards) and also members of the public were extremely complimentary and said how moving their performance was.